Parallel bars is an apparatus used by male gymnasts in artistic gymnastics. 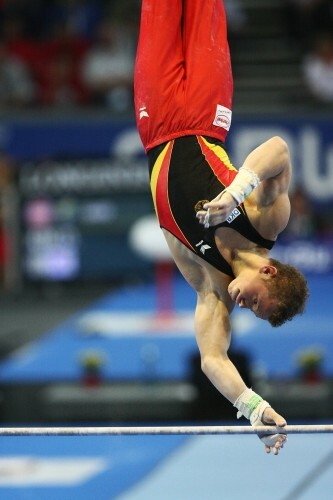 Gymnasts may optionally wear grips when performing a routine on the parallel bars, although this is uncommon. Ribbon is a component of rhythmic gymnastics composed of a handle (called "stick"), a ribbon, and attachment.